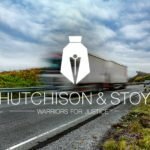 Warriors For Justice Hit by Drunk Driver? As in the rest of the country, drunk driving is a persistent and dangerous undertaking that can take innocent lives and hurt family, friends co-workers and classmates. The statistics are alarming. In the Texas in 2014, 3,189 persons were killed and more than 92,000 other persons were injured in drunk driving auto accidents. If you or a loved on has been hit by a drunk driver in Fort Worth, contact a Fort Worth Auto Accident Lawyer at Hutchison & Stoy, PLLC. By any standard, these are frightening statistics that not only cause loss of life but also cost billions of taxpayer dollars. Drinking and driving is a crime that can be punishable by long prison sentences and Texas courts are under pressure to clean the state’s drinking and driving record. The obvious solution is to eliminate drunk driving and groups like Mothers Against Drunk Driving (MADD) aggressively pursue strict enforcement and stiff penalties for violators. 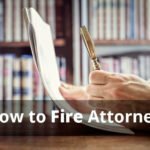 However, whichever end of a drunk driving offense you might be on, you should immediately retain the services of an experienced personal attorney. Across the country, a drunk driver is considered any person who drives or attempts to drive and has a blood alcohol concentration (BAC) of .08 or higher. There is not much mystery to this quantitative description. Drivers that register .08 BAC are drunk drivers. Technology has effectively reduced the number of drunk driving auto accidents. Ignition interlock systems have prevented 1.77 million attempts by drunk drivers to operate a vehicle. As of 2015, MADD began to advocate for interlock ignition systems on all newly manufactured cars sold in the US. In 2013, Texas led the nation in drunk driving fatalities with 1,377 or 39.5% of all the state’s auto fatalities. In 2013, Texans suffered 99,195 Driving Under the Influence (DUI) arrests. 71,030 state drivers were convicted of DUI. In 2014, 15,687 persons were injured in Texas drunk driving accidents. There were 25,479 drunk driving accidents in Texas in the same year. These are intimidating numbers that underscore the need for personal injury lawyers in Texas. Vehicular Homicide – This is a serious offense that is charged when a drunk driver causes loss of life. Interlock for First Time Offenders – This statute can be court ordered for first time DUI offenders. Ignition Interlocks – Under this statute the judge can order the DUI offender to install an ignition interlock driver. Failure to comply can result in stiff penalties. 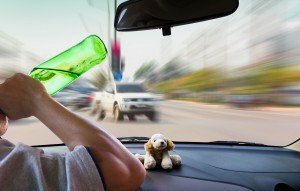 DUI Child Endangerment – Drunk drivers operating a vehicle with a child in the automobile can receive additional punishments from the court. DUI Felony – Under Texas law, a repeat DUI/DWI offender is subject to a felony conviction that remains on the drunk driver’s criminal record. Administrative License Revocation – Under this statute, the court can issue an administrative license revocation (ALR) for repeat DUI/DWI offenders at the time of arrest. This can hinder the irresponsible driver’s ability to earn a living or support the family. Once the license is revoked, it is challenging to earn the right to drive again. Dram Shop – This law allows the court to hold liable the establishment where the drunk driver exceeded the safe BAC level in cases where there was a loss of life or serious injury to a third party. Texas is Battling Drunk Driving – In 2014, Texas roadways saw 3,039 fatalities attributed to auto accidents. The Texas Department of Safety says not one day goes by where someone does not die on a Texas roadway. Of the 3,039 fatalities, 1,089 were due to drunk driving auto accidents. Big cities and college towns bear much of the weight for drunk driving issues in the state. 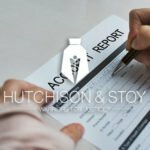 If you or someone you know is injured in a drunk driving case, it is time to retain counsel with an experienced personal injury attorney from Hutchison & Stoy, PLLC. Call 817-820-0100 to receive a free consultation and case evaluation. Do not delay. Drunk driving accidents are serious and require immediate expert legal advice. Get experienced counsel immediately.